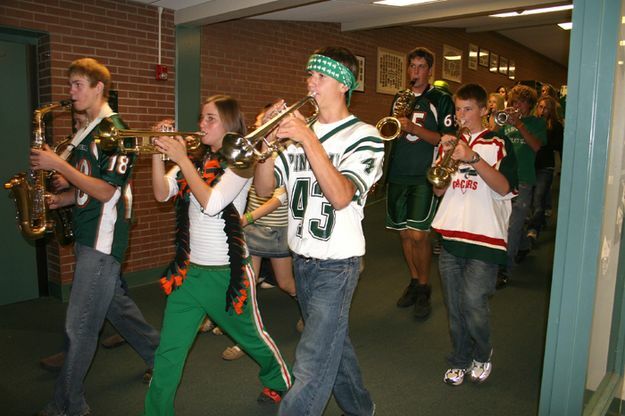 The Pinedale High School marching band marches down the hallway Friday morning. This signals the beginning of homecoming. The students then gathered in the gym for a pep rally.